Lower shafts screw together to form a 200cm probe. 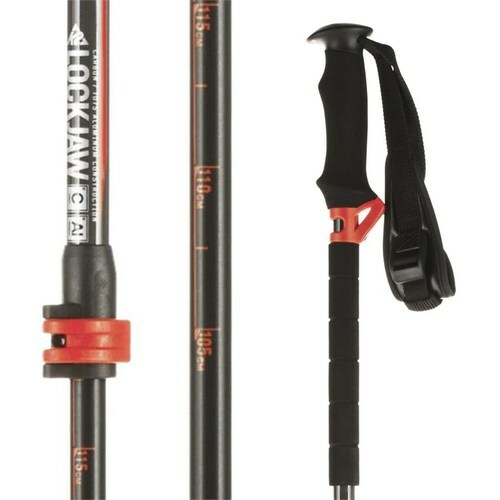 The 2016 K2 LockJaw Carbon/Alu Adjustable Probe Ski Poles also come with the updated LockJaw2 Adjustment Mechanism and is made of a high grade 7075 Aluminum Lower shaft. **The Web baskets, that come with these poles, have had some beakage issues. We will ship the web baskets and new replacement baskets too!! !